December 19th, 2014 | Moving Tips. You’ve decided to move abroad for work, school, or pleasure, and you feel excited. You have an adventure in front of you, and you can’t wait to get started. You’ve spent months preparing paperwork, hiring a moving company and scoping out the local culture-but you haven’t finished preparing yet. You still need to get ready for one feature of moving abroad: living in a new time zone. A new time zone may not sound like a big deal, but picture this. When you wake up at 8 am in Indianapolis, people in London have just returned from lunch at 2 pm. Meanwhile, people in Moscow have just sat down to dinner, and people in Sydney have long since gone to bed. Depending on where you move, you could have a difficult experience while you transition to a new time zone. You might experience jet lag, except you’ll have to put your new house together at the same time, so it might feel even worse. Streamline your transition by using the tips below. A month to two weeks before you leave, start reorienting your sleeping schedule to match your destination’s time zone. You should do this slowly by going to bed 15 minutes earlier each day. Keep adding an extra 15 minutes until you’ve fully adjusted. This way, your body will already have the energy it needs to start moving in when you arrive, and you won’t walk around in an exhausted stupor. If you want your body to feel rested after your flight, you’ll need to do most of your resting before the aircraft ever takes off. For three days before your flight, keep activities to a minimum. Don’t leave all of your packing and moving to the last minute. These substances don’t just keep you awake; they also make it harder for your body to adjust its circadian rhythm. They make your body stressed, which means it’ll feel tight and exhausted when you arrive. Cut these things out of your diet for at least three days prior to your flight. You should also avoid heavy meals the day before your flight. Your body uses heavy meals as part of its circadian rhythm; if you avoid eating them until after you arrive, you’ll adjust more quickly. A hydrated body also adapts to a new sleep schedule more quickly. Make sure you drink eight cups of water daily during the week preceding your relocation. Your body needs to get used to feeling hydrated-a single glass of water before your flight won’t help you fight jet lag. Your hydration won’t last if you don’t drink water on the plane. Aircraft cabins have very dry air, and they’ll dehydrate you quickly. By the time you arrive at your destination, your body won’t have the water it needs to adjust. Maintain your hydration by drinking plenty of water during your flight. If you’ll arrive early in the morning, you should sleep during the flight. Take off your shoes and curl up with a blanket and pillow. You’ll arrive feeling ready to greet the morning. However, if you will arrive in the evening, don’t sleep. Force yourself to stay awake by stretching and walking down the aisles. Just make sure you don’t disturb the other passengers. Even if staying awake exhausts you, you’ll arrive tired enough to go to bed at the correct hour for that time zone. This will give you a head start on your transition. While you fly, you should get your mind used to thinking about the time in the new area. Set your phone, computer, MP3 player, and watch to the new time zone. If you want a quick transition, you need to act like you’ve always lived in that time zone as soon as you arrive. Don’t take a quick nap, and don’t eat a heavy meal if you plan to go to bed. Do whatever the locals do at that hour. If you arrive in the morning, go for a brief walk. The sunlight will help your body regulate its rhythm. Breakfast will too. But if you arrive at night, feel free to have a small snack and go straight to bed. Don’t worry if your body feels strained at first. You have to force it to adapt. It won’t like it at first, but it will catch up eventually. If you have trouble falling asleep in the new time zone, take melatonin. You may have to buy it before you go abroad though many countries don’t offer it over the counter. Now that you know how to adjust to your new time zone, you can go forward with confidence. You won’t have to postpone your adventure as you try to recover from your move. If you use these tips, you can jump into the new culture as soon as you land. 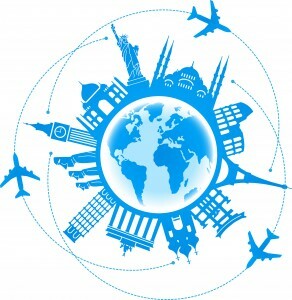 Contact your international movers if you have any further questions about moving abroad.